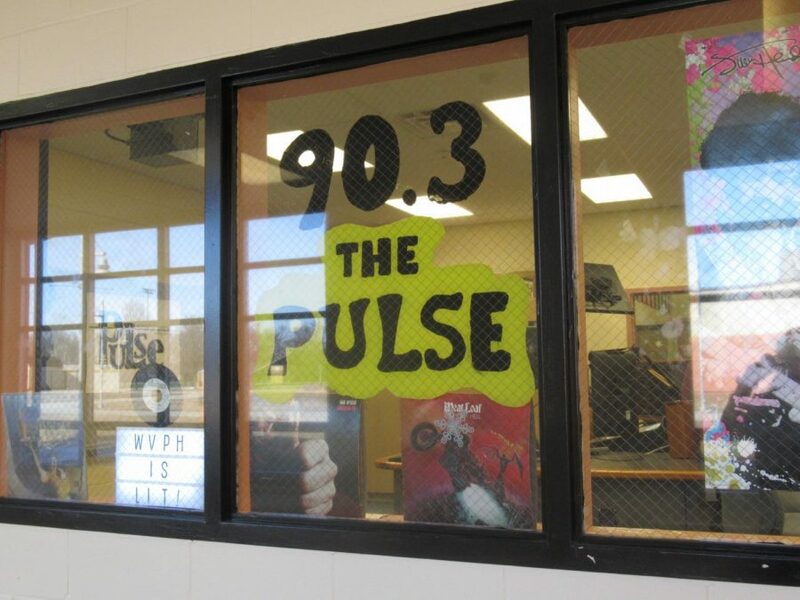 WVPH is Piscataway High’s very own radio station that is considered the largest high school radio station in New Jersey by potential listenership alone. 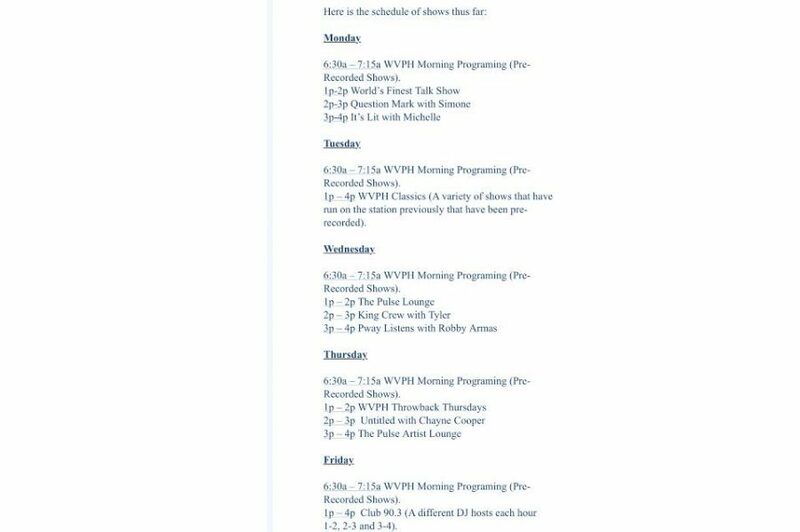 WVPH has around 10,000 loyal weekly listeners. Simone Wolfskehl and Robby Armas are two notable personalities at the station that help run WVPH. 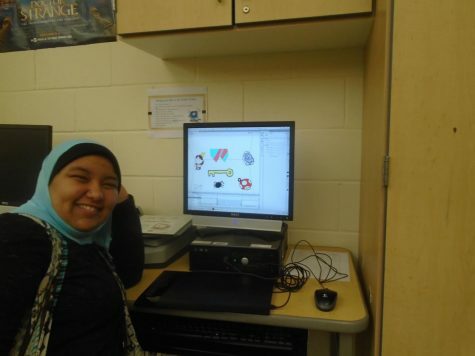 Around the 2000’s, Piscataway partnered with Rutgers University to cover the 24/7 programming. 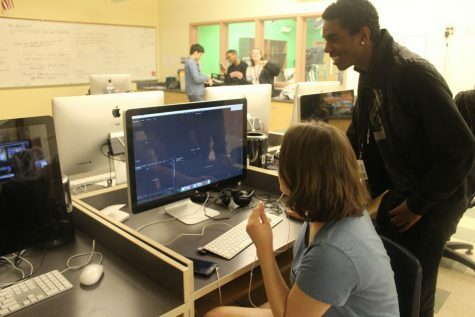 Piscataway hosts Monday through Friday, and podcasts begin at 6:30 am to 7:15 am, and from 1-4 pm, different students run music shows under the advisory of Broadcast Technician Philip Giannino. Rutgers University (The CORE) runs the station when Piscataway is not on the airwaves. The mostly student-run radio station containing industry standard equipment hosts in room F-102C in the G-wing. “We can really record [broadcast] anytime we want, we have joint sharing of the tower on Livingston Campus,” advisor of the PWAY TV Club Susan Pascullo states. WVPH, also known as ‘The Voice of Piscataway High,’ results in experience for students who may want to be in the radio field. “It’s a legitimate radio station. It’s real life experience. I have a news director, station manager, music director, marketing and program director. These are all real life positions,” WVPH advisor Giannino states. Station manager involves many jobs including running the meetings the club holds. “I fill in for people on their shows if they need me to. I manage things, I sign off on station logs. 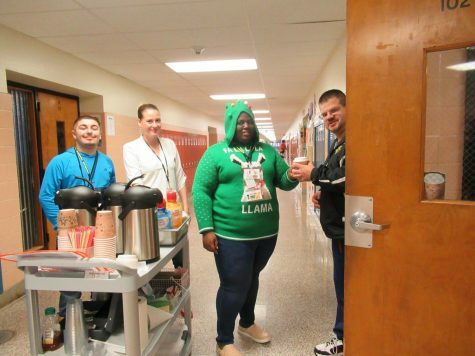 I’m basically a mini Mr. G I guess,” WVPH student Station Manager Robby Armas says. Music director involves many jobs that senior Simone Wolfskehl is in charge of. “I monitor music that gets played in the station and goes on the radio. I overlook everything and help people out,” Simone Wolfskehl states. If you are interested in joining the club, there are multiple things you can do. “You go [to the club room], you say you wanna join, you can apply to have a show, you can talk during the news when we have breaks, you can do management under one of the station managers, host a radio show, or work on the news. To be involved in the club, you don’t have to take the class,” Armas explains. Radio and podcasts are similar in the content they include, but are slightly different. “Radio is like the ugly step-child. When the power goes out, radio is always gonna be there. Podcasts is just talk-radio. It’s basically on demand for radio,” Giannino says. Shows being hosted typically stay on the same schedule until they’re changed. “We interview people and deem it [their show] to be reasonable to be on air. We try to balance it from talking and music. Podcasts are basically the same as radio shows. Most record Fridays and it comes out on Mondays,” Armas states. As of right now, WVPH only airs two podcasts–Wayward Sons and The Lunch Table, Armas runs Wayward Sons with co-producer Mike Dickinson. “We cover a lot of topics. We talk about movies, celebrity opinions, and entertainment,” Armas says. The music played on the radio show will appeal to many audiences. “We play country, rock, R&B, rap, pop. There isn’t really a specific genre,” Wolfskehl explains. Armas previously worked with the TV club before joining the WVPH team. “I have only been in the radio club for one year, but I’ve been working with the TV club three years prior to it. I would come to the radio club to hang with some friends. I met Mr. G and he started teaching me things, and eventually asked me to be station manager and I said yes,” Armas states. Armas’s best moment on Wayward Sons occurred during the first airing. “We chose our name because we love the song ‘Wayward Sons’ by Kansas. When we played the song, we went on schoology and saw our link. It was realizing we were putting on a show that people actually like and enjoy,” Armas explains. Simone Wolfskehl works as the music director at the student run organization. “I make music of my own, and ended up in [the music aspect] of radio club,” WVPH student music director Simone Wolfskehl states. Wolfskehl has been in the club for 3 years, and is currently a senior. “I moved here sophomore year, and I’ve been in the club ever since. I want a future in the music industry that involves production,” Wolfskehl explains. PHS’s radio station is the 42nd ranked market (station market) in the country by population on Nielsen, a company that uses data analytics to compile information and rank markets. “WVPH can be heard in Middlesex, Somerset, Union and Mercer counties and has the potential to reach one million people,” Giannino states. WVPH can be heard on the radio at 90.3 FM, anywhere you have internet on thecore.fm, on an ALEXA, a Google Home, or your mobile device. “It’s original content. It’s your friends on the air, and you can be in any of these counties [Middlesex, Somerset, Union and Mercer] and listen to us. It’s not trash, and it’s something pretty cool,” Giannino states.